Senior Special Assistant to the President on Media & Publicity, Mr. Laolu Akande, has described the statement attributed to former president Olusegun Obasanjo regarding Vice President Yemi Osinbajo, SAN, and the Federal Government's TraderMoni micro credit scheme as most unfortunate, according to the . "Firstly, the Vice President does not personally distribute money during his visits to the markets. He goes there to assess the progress of the implementation and to create awareness for a programme designed to meet the financing need of 2 million petty traders across the country in the first instance. "Secondly, while one will not bother to further address the issue of timing of the implementation since such issues are now known to be political posturing, it is important to note that TraderMoni is being actively implemented across all states of the federation and the FCT. It is not only Lagos and Abuja as was insinuated. "These petty traders at the bottom of the economic ladder, with an inventory often less than N5,000, are beneficiaries of the TraderMoni scheme which provides N10,000 collateral/interest-free loans to them, empowerment that improves their small businesses, their families, while also contributing significantly to the economy. "Thirdly, in what is certainly a curious comment, the former President has also been quoted as describing the TraderMoni scheme as idiotic. To label such people-friendly scheme as idiotic is not only an absurdity, it is also an affront to the sensibilities of these hard working Nigerians, the beneficiaries of the micro-credit scheme." Akande stated further, "for emphasis, the Bank of Industry implements the Government Enterprise and Empowerment Programme, GEEP, one part of our Social Investment Programme. Enumeration Agents have been engaged to visit the markets and other points where petty traders are found to confirm that they are traders and also take their biometric information for recording purposes. After the enumeration, the N10,000 collateral free loans are then disbursed electronically through the petty traders’ phones. "TraderMoni is designed to meet the needs of the larger population of petty traders at the bottom of the pyramid who do not meet the more stringent criteria of BVN, bank accounts, market associations, cooperatives, required for bigger Market Moni loans. "Under GEEP – which has MarketMoni, FarmerMoni and TraderMoni, at least 1.5 million Nigerians are already beneficiaries of the three-pronged approach of GEEP, while N-Power has created jobs for 500,000 young Nigerians graduates, besides non-graduates. Also, almost 300,000 Nigerians have benefitted from the Conditional Cash Transfer (CCT), which is given to the poorest and most vulnerable among us, and over 9.2 million school pupils are being fed a free meal daily in 26 states under the Home Grown School Feeding Programme. "It bears repetition that higher economic growth potentials are associated with lower income inequality. This makes a most overwhelming case for welfare payments like the social investment schemes like the TraderMoni/MarketMoni schemes. Such a micro-credit scheme provides a higher rate of inclusion into the financial bracket and is crucial in lifting hardworking people out of poverty as has been the case in other countries like India and Brazil. "Fourthly, the former president also rehashed discredited claims suggesting that TraderMoni beneficiaries were required to tender their PVCs, and questioned the timing of the implementation. "Let me, therefore, state again that beneficiaries of TraderMoni are not required to show their Personal Voters Cards (PVCs) or any document indicating their political affiliations to qualify for the loans. This is why the enumeration is done in the open markets and wherever the traders ply their trade. This issue has been addressed several times by the Presidency in the public space. Therefore the former president’s alleged comments smirk of outright mischief as it regurgitates blatant falsehood. When President Muhammadu Buhari came into office, one of the major hinges of this administration was to uplift the common man out of poverty and ensure the welfare of ordinary Nigerians. TraderMoni is one of such schemes conceived in 2016 under the Social Investment Programme of this administration." 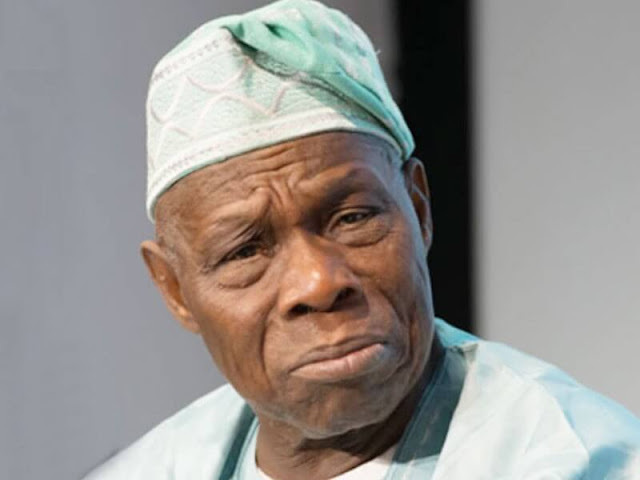 According to Akande, "being a former president, Chief Obasanjo ordinarily should appreciate the impact of such far-reaching social investment schemes, which has provided what is now the largest social safety net for millions of Nigerians and is unprecedented in the nation’s history. "Again, the former president’s attack on TraderMoni and the person of the Vice President is an indicator that he may be wittingly or unwittingly playing to the sinister script of the opposition party to spread falsehood and attack the social investment programmes of the Buhari administration, which champions such impactful schemes, and which is now attracting the praise and commendation of Nigerians everywhere. "It is pertinent to state that the false allegations against TraderMoni raised again by the former president is sadly a rehash of baseless claims previously made by leading chieftains of the opposition Peoples Democratic Party, whose record of profligacy, corruption and mismanagement clearly show it has no agenda to uplift the common man or improve the lives of Nigerians. "Finally, attacks such as this on a scheme that benefits the masses of our people is a direct attack on the people and this kind of conduct does not reflect very well on a former president but is only self-denigrating and of no public value. As is already now obvious, the generality of the Nigerian people will not only reject that attack but will also condemn its source. We, therefore, urge the former president to be far more circumspect and more public-spirited in his utterances going forward."